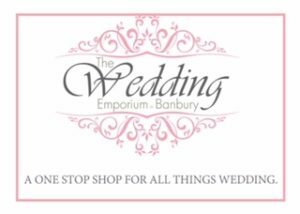 Occasions Photography is proud to be a listed supplier of The Wedding Emporium Banbury. We are passionate about providing the very best quality wedding photography to local couples. We know that on the most important day of your life only the very best will be good enough. As one of The Wedding Emporium’s showcasing suppliers and a well forged member of the WEB family, we are uniquely positioned to be able to signpost you to other suppliers who are part of the team. The Wedding Emporium is home to an extensive range of local wedding suppliers who all share the same passion for providing the very best wedding day experience possible to brides and groom across Oxfordshire and the surrounding areas. Many couples contact the WEB to take the hassle out of having to source suppliers themselves. It’s much easier to plan a wedding when everybody that you could possibly need are all readily available in one central location, where they can be recommended and verified by previous client’s experiences. We know that your wedding day needs to be just perfect and nothing could be more reassuring than to book your suppliers through a renowned and trusted source such as The Wedding Emporium. At Occasions Photography we feel extremely privileged to be part of the WEB team and to be able to photograph so many wonderful weddings in Oxfordshire and beyond.